Designed by parents, the super soft JumpOff Jo Mama Bear Blue Crib Sheet is lovingly made from 100% cotton to be gentle on your baby’s skin. The crib sheet fits all standard-size crib mattresses, featuring extra-deep corners for the most secure fit. 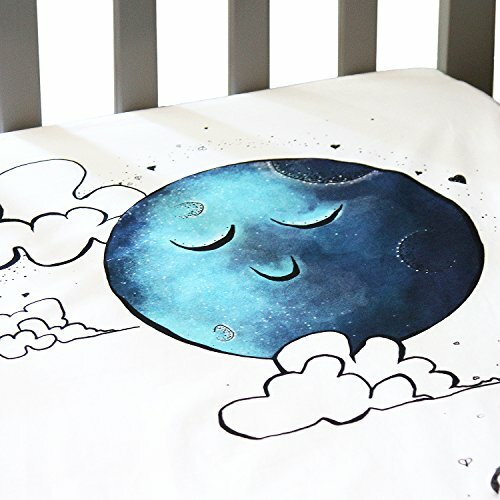 Available in an original design, the crib sheet illustrates your love for your little one all the way to the moon and back. The hues of blue, black, and white will fit effortlessly into any bedroom. 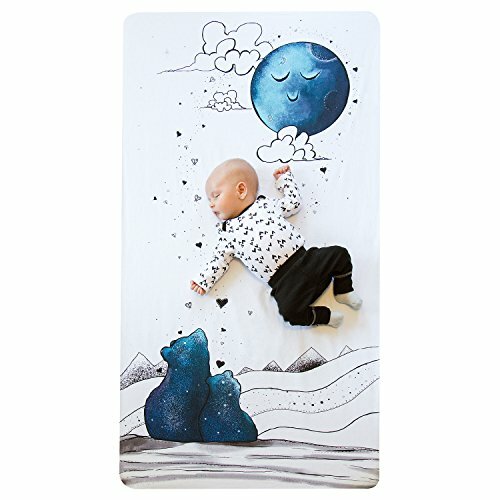 100% PARENT APPROVED – Crib sheet bedding designed by parents, the hypoallergenic JumpOff Jo Mama Bear Blue Crib Sheet is made out of 100% cotton, for a softer and more breathable crib sheet for your baby boy or girl. 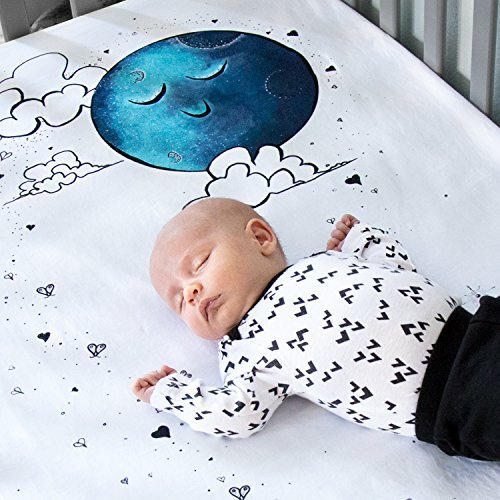 This crib sheet is also OEKO-TEX Standard 100 certified, which means it was made without harmful chemicals and met human-ecological requirements for baby articles (18.HCN.47343). We’re setting a new standard for crib sheets. ORIGINAL DESIGN CRIB SHEET – You won’t be able to find this dreamy pattern anywhere else. 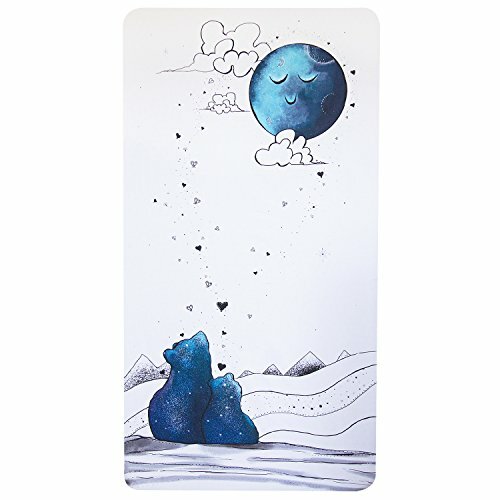 The unique whimsical design illustrates your love for your little one all the way to the moon and back. The hues of blue, black, and white will fit effortlessly into any nursery. BETTER NIGHT’S SLEEP FOR BABY – As a caring parent we only want the best for your infant. The JumpOff Jo Mama Bear Blue fitted sheet is soft on your baby’s skin. EASY TO CLEAN – The JumpOff Jo Mama Bear Blue Crib Sheet is machine washable and dryer safe, 100% cotton, hypoallergenic, and doesn’t hold odor or stains. It will only get softer with each wash.